Aloe vera is considered as a natural healer and can be used to cure multiple diseases according to the various studies and researches. Aloe vera with 250 species has been used worldwide for more than 3,500 years due to its medicinal and beauty enhancing properties. as first aid for burn injuries, skin irritation, constipation and moisturizing the skin. According to the medical experts, drinking aloe vera juice on a regular basis help maintain health by replenishing body naturally with the essential amino acids. In 2004, biologists tested the effects of aloe vera on certain bacteria, which proved that it inhibits the growth of the Streptococcus and Shigella bacteria, and prevent human conditions like rheumatic fever, pneumonia, meningitis and diarrhea. Some of the minerals found in aloe vera juice include calcium, sodium, iron, potassium, chromium, magnesium, manganese, copper and zinc. Aloe extract has been proven to decrease blood glucose levels and it can prevent or at least slow down the development of diabetes. Aloe vera juice provides natural support for the immune system and increases protein absorption, decreasing unfriendly bacteria and yeast, ensures a greater feeling of well-being, increase energy levels and maintain a healthy body weight. Aloe vera can be used to disinfect wounds and it can protect your open wounds from certain microorganisms that can cause infections. It can be used to treat injuries that occurred on soft tissue, such as mouth ulcers, canker sores, fever blisters and other lesions, bleeding gums and for hair growth. It can also be used as a sunscreen on the face. If you feel a rash or experience any undesirable symptoms when using Aloe Vera, you should stop using it and consult your doctor. 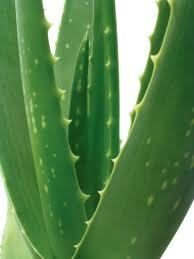 You should also consult your doctor before taking Aloe Vera.